Three-Dimensional Integrated Circuit Design, Second Eition, expands the original with more than twice as much new content, adding the latest developments in circuit models, temperature considerations, power management, memory issues, and heterogeneous integration. 3-D IC experts Pavlidis, Savidis, and Friedman cover the full product development cycle throughout the book, emphasizing not only physical design, but also algorithms and system-level considerations to increase speed while conserving energy. 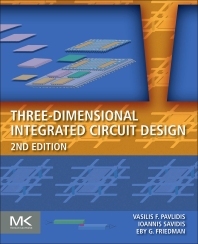 A handy, comprehensive reference or a practical design guide, this book provides effective solutions to specific challenging problems concerning the design of three-dimensional integrated circuits. Ioannis Savidis received the B.S.E. degree in electrical and computer engineering and biomedical engineering from Duke University, Durham, NC, in 2005. He received the M.Sc. and Ph.D. degrees in electrical and computer engineering from the University of Rochester, Rochester, NY, USA, in 2007 and 2013, respectively. He is currently an Assistant Professor with the Department of Electrical and Computer Engineering at Drexel University, Philadelphia, PA, USA, where he directs the Integrated Circuits and Electronics (ICE) Design and Analysis Laboratory. 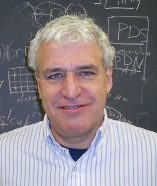 He has held visiting research positions with the 3-D Integration group at Freescale Semiconductor, Austin, TX, USA in 2007, and the System on Package and 3-D Integration group at the IBM T. J. Watson Research Center, Yorktown Heights, NY, in 2008, 2009, 2010, and 2011. His current research and teaching interests include analysis, modeling, and design methodologies for high performance digital and mixed-signal integrated circuits, power management for SoC and microprocessor circuits (including on-chip dc-dc converters), emerging integrated circuit technologies, IC design for trust (hardware security), and interconnect related issues in 2-D and 3-D ICs. He has authored or co-authored over 40 technical papers published in peer-reviewed journals and conferences, and holds 4 pending patents. 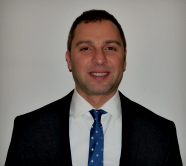 Dr. Savidis is a member of the editorial boards of the IEEE Transactions on Very Large Scale Integration (VLSI) Systems, the Microelectronics Journal, and the Journal of Circuits, Systems and Computers. He serves on the Organizing Committees and Technical Program Committees of many international conferences including the IEEE International Symposium on Circuits and Systems, the Great Lakes Symposium on Very Large Scale Integration, the ACM/IEEE System Level Interconnect Prediction Workshop, and the IEEE International Symposium on Hardware Oriented Security and Trust.